This is a battle between two pod-based coffee machines. Both Nespresso vs Dolce Gusto offer simplicity and practicality. They are designed for people who don’t want to deal with the technicalities of manual coffee brewing. You just need to enter a pod and choose the brew size. You’ll get your coffee in a few minutes. So, which one is better? Nespresso is a brand of automatic coffee makers that work with Nespresso pods. There are two different lines, the Original Line which are based on a pressure pump and the Vertuo Line which are based on a new centrifugal motor. Of the two, the Original Line is generally better, as it can extract coffee better at a decent temperature. See also: Mr Coffee Optimal vs Keurig. Although Nespresso is its own brand, the coffee machines are actually made by De’Longhi. It is a renowned company that has produced manual, semi-automatic, and fully automatic coffee machines of high quality. Although Nespresso machines are designed to work only with Nespresso pods, the popularity has made some companies to produce their own Nespresso-compatible pods. It is still recommended that you use only Nespresso pods because you can trust the quality. This is just to let you know that there are some third-party pods that can work with Nespresso machines available in the market. Another thing to consider when choosing between Nespresso vs Dolce Gusto is the available drink options. 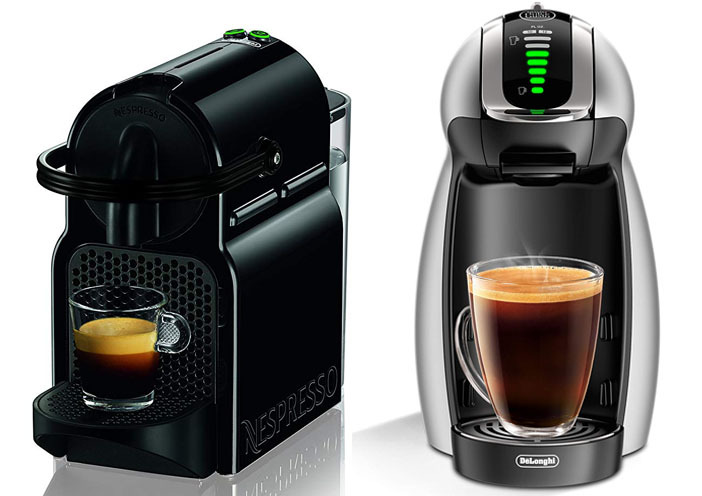 Unlike Dolce Gusto, Nespresso is mostly designed for die-hard coffee enthusiasts. This is because the pods are mostly espresso drinks. There are so many espresso options here. However, you won’t find pods for coffee-based drinks. If you want to make a cup of latte or cappuccino, you need to use an espresso pod and mix some frothed milk by yourself. Nespresso pods don’t have non-coffee drink options. Nespresso machines are definitely very easy and simple to use. A Nespresso machine typically only has several brew size buttons. In order to brew a cup of coffee, you only need to insert the pod and choose the desired brew size. The machine will immediately brew your coffee with the ideal temperature. Nespresso machines are also equipped with convenient features. There is usually a drip tray that will collect coffee drips and prevent a mess. There is also an automatic pod ejection mechanism. After brewing a cup of coffee, the used pod is automatically ejected to the waste bin. The bin can hold several empty pods before you need to empty it. 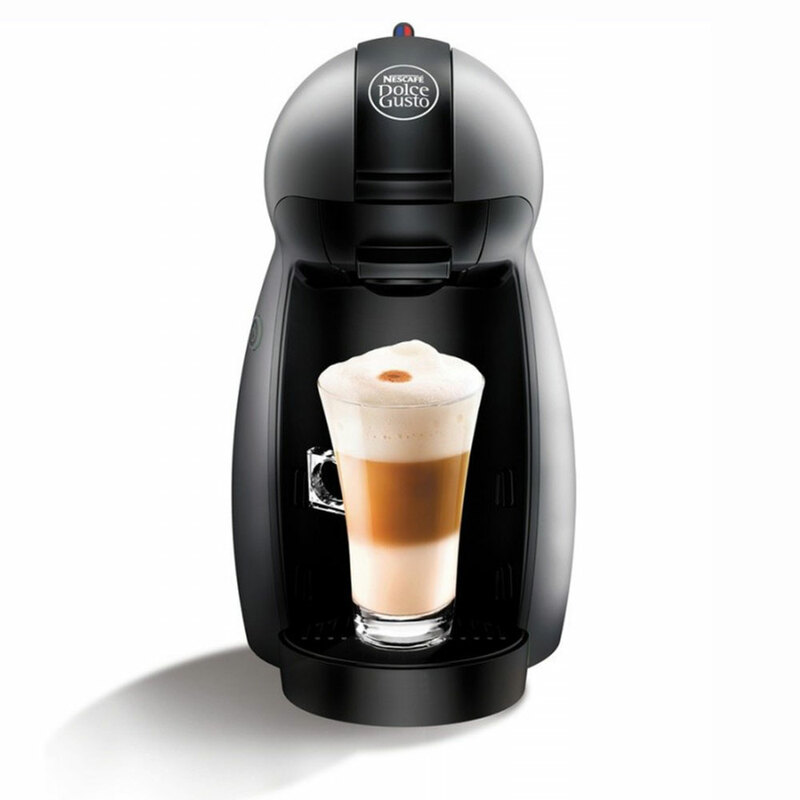 Both Nespresso vs Dolce Gusto can make latte and cappuccino, though they go through different steps. In general, making latte or cappuccino with a Nespresso machine is actually easier, although you need a separate milk frother. Nespresso has the Aeroccino, which is a milk frother that can pair well with most Nespresso machines. In order to make a cup of latte or cappuccino, you need to prepare the milk by yourself. You can froth the milk while waiting for the machine to brew the coffee. Although this takes some effort, this is actually more straightforward than frothing milk with Dolce Gusto, as you’ll see below. Besides, this will allow you to get to know a bit about how to froth milk. Nespresso machines are known to be fast. They can brew coffee within a minutes. This is really great for people who want to get their morning coffee as quickly as possible. You can also get some coffee at your lunch break without having to wait long. The coffee quality is great. Some people may argue that no automatic coffee machines can rival the quality of fresh coffee brewed by expert baristas, but Nespresso machines are quite impressive. They can extract and brew the coffee very well to deliver rich and intense flavors. You can enjoy the coffee quality even if you still prefer manually brewed coffee. Latte and cappuccino made by Nespresso are great, though this depends on the quality of the frothed milk. But, since you are using fresh milk for this, the quality of the latte and cappuccino is almost always better. Nespresso is definitely the way to go if prestige matters. In the world of pod-based coffee makers, Nespresso is a renowned name. The coffee quality is also appreciated by many coffee enthusiasts. Dolce Gusto is also a brand of pod-based coffee makers. These machines work with pressure pumps to extract and brew coffee. Just like Nespresso, Dolce Gusto machines are loved by many because they are simple and easy to use. The Dolce Gusto brand is actually owned by Nescafe. However, the coffee makers are made in a partnership with De’Longhi, too. Dolce Gusto machines also work with their own pods. However, unlike Nespresso, Dolce Gusto does not have many third-party options. So, won’t have any other option besides the original pods. Fortunately, the original pods are quite easy to find in both local and online stores. Another notable thing about Dolce Gusto pods is the available drink options. If you are only interested in espresso and pure coffee, you will be disappointed with Dolce Gusto because there are not many espresso options. They are mostly distinguished only by the espresso, ristretto, and strong espresso varieties. However, if you want a wide range of coffee-based drink options, Dolce Gusto can be a good choice. There are many more drink options here, such as latte vanilla macchiato, café au lait, mocha, and lungo decaffeinato. There are also some non-coffee options such as chocolate milk and tea. People who are new into the world of coffee will also enjoy the selections available in Dolce Gusto as well. Dolce Gusto machines are very easy to use. 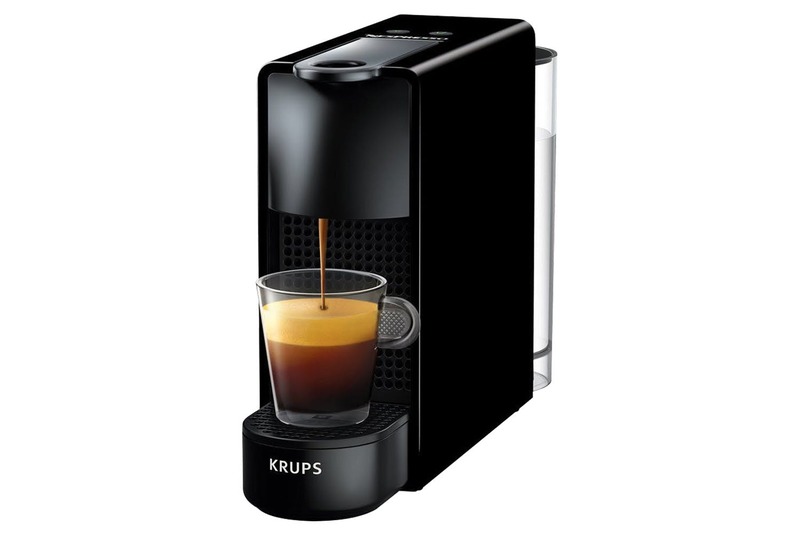 Overall, it is quite similar to Nespresso machines. In order to brew a cup of coffee, you just need to insert a pod and select the desired brew size. However, there are a few notable differences. First of all, Dolce Gusto machines do not have an automatic pod ejection mechanism. As a result, you need to remove the used pod manually every after brewing. Some models do come with bins, but you still need to remove the used capsules manually. This is a bit inconvenient, especially when you are in a hurry in the morning. Secondly, some coffee-based drinks on Dolce Gusto require special milk pods. There is no Dolce Gusto machine that comes with a frother. While it is possible for you to froth milk manually, most coffee drinks here are designed to be made with the included powdered milk pods. In order to make a coffee-based drink with milk, it is a multi-step process. First, you need to insert the milk pod and adjust the pressure. Then, you need to remove the pod and insert the coffee pod. Adjust the pressure again and brew. Now, the coffee drink is ready to serve, but don’t forget to remove the used pod from the container again. The overall process is not difficult to follow. It is just a bit annoying because you need to remove the used pods manually. Nevertheless, Dolce Gusto can also make iced coffee drinks, which is a great feature. Dolce Gusto machines also work fast. Usually, you can brew a cup of coffee in less than a minute. So, Dolce Gusto machines are also great for busy people who don’t have much time in the morning and for lunch breaks. The coffee quality is generally good. Dolce Gusto machines use pressure pumps to extract coffee, just like manual coffee machines. The pressure pump has decent bars, and it can brew coffee at the ideal temperature. The produced coffee has decent flavor and aroma. However, if we compare the quality of latte and cappuccino made by Nespresso vs Dolce Gusto, there can be some notable differences. Somehow, the coffee drinks that Dolce Gusto provides are not as fresh. This is because the coffee drinks are made with powdered milk. You want to use fresh frothed milk in order to get the best taste and texture. If prestige does not matter, Dolce Gusto machines are fine. Well, they are good machines, but they are currently not as prestigious as Nespresso. The overall coffee quality is good, but not as great as Nespresso. This is somewhat covered by the wide selections of drinks available. - BARISTA GRADE: Nespresso Inissia by De'Longhi offers an impeccable single-serve Coffee or Espresso cup every time, thanks to its automatic operation and patented extraction system which delivers up to 19 bars of pressure. The Inissia is the perfect Coffee machine that fits perfectly into any interior design. - SPEED: In just one touch, ideal water temperature is reached in 25 seconds and you are ready to make 9 single-serve cups of Coffee without having to refill the 24 oz. tank. This automatic Coffee machine gets your perfect cup of Coffee or Espresso to you fast. - ENERGY EFFICIENT COFFEE MACHINE: Brew two different cup sizes; Espresso (1.35 oz.) and Lungo (5 oz. ), with just the touch of a button. Pour over ice to create your favorite iced Coffee drinks. With the smart energy saving mode automatically switches off our Coffee maker after 9 only minutes. All in all, both coffee machines have their own advantages and disadvantages. However, Nespresso is generally more recommended. It has a wider range of espresso options. It is something that die-hard coffee drinkers can appreciate. On the other hand, Dolce Gusto is only good if you want different coffee-based drinks and some non-coffee drinks.